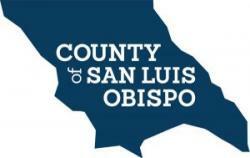 The County of San Luis Obispo has an exciting opportunity for you to join our team! We are looking for professional and motivated team members with experience as an administrative assistant or experience with clerical tasks including computer skills. This is a continuous recruitment and the list created will be used to fill permanent, temporary, part-time, and full time positions in various departments. Individuals who complete all steps of the recruitment and are placed on the eligible list will remain on the list for three months, and may be contacted as positions become available. Click here Administrative Assistant I full job description. Click here Administrative Assistant II full job description. Click here Administrative Assistant III full job description. Candidates will be hired at the level (Administrative Assistant I, II, or III) based on experience and department need. Administrative Assistant I: Either A: 6 months of experience performing duties comparable to Administrative Assistant Aide. Or B: One year of general clerical experience including word-processing/computer experience. Administrative Assistant II: Either A: One year of experience performing duties comparable to Administrative Assistant I. Or B: Two years of experience performing a wide variety of clerical and administrative assistant duties including word-processing/computer experience. Administrative Assistant III: Either A: One year of experience performing duties comparable to an Administrative Assistant II. Or B: Three years of experience performing a wide variety of clerical and administrative assistant duties including word-processing/computer experience.